Now that the heatsticks are done, we need a way to get power to them. 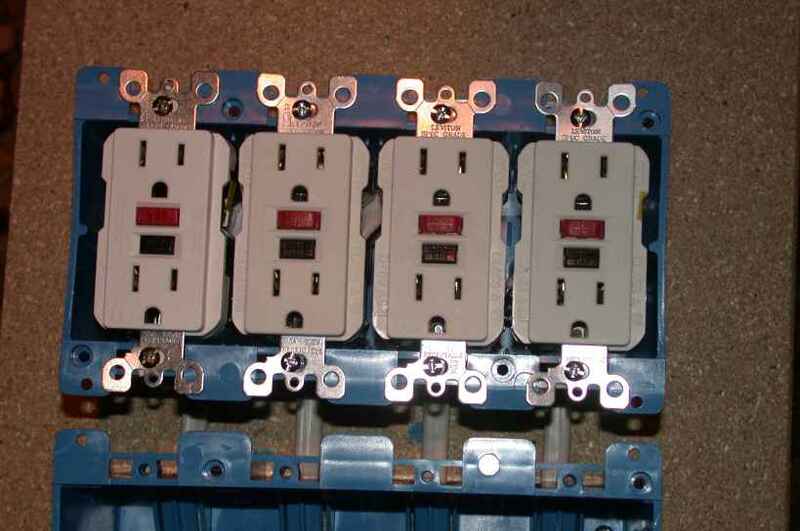 Ordinary residential wiring can only handle one heatstick per circuit. Even if multiple circuits are available in your brewing room, they’re probably scattered throughout and relatively inaccessible. Switching heatsticks on/off by unplugging them is also inconvenient, especially when your wort is threatening to boil over and the plug you need to pull is on the other side of the room. 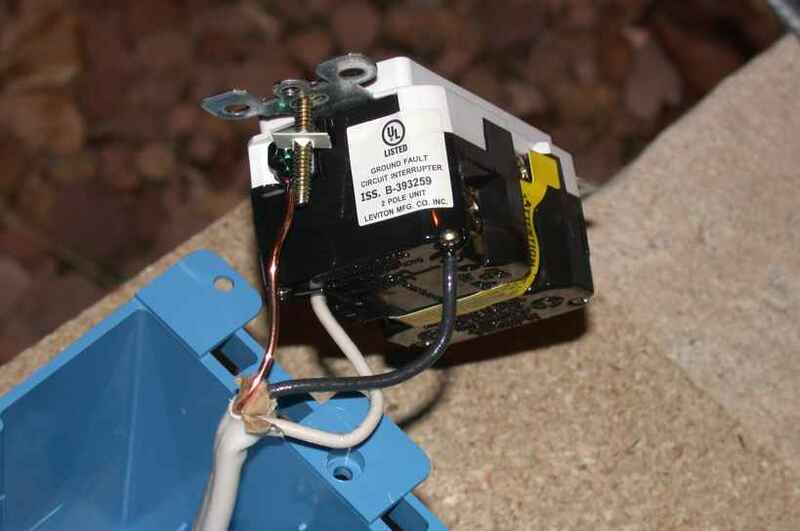 This project takes a 240-volt 30-amp circuit (what your clothes dryer most likely uses) and splits it out to four 120-volt 15-amp circuits that can each power one heatstick (or other brewing equipment, like a swamp-cooler pump feeding your wort chiller). 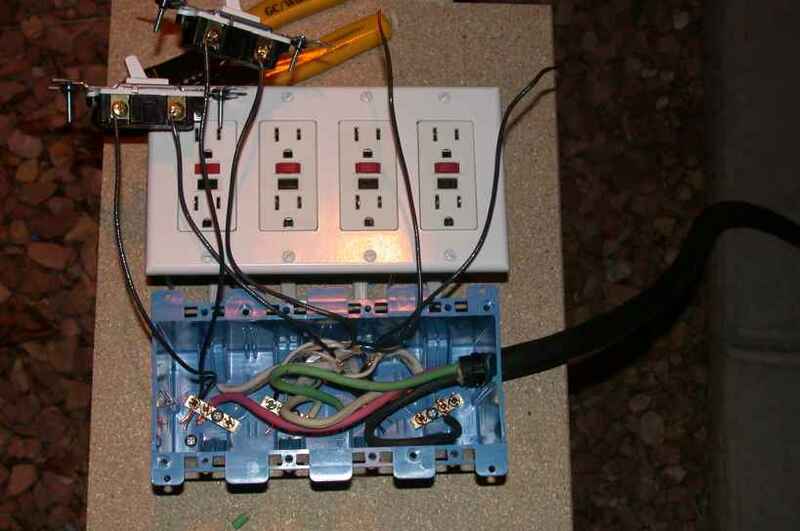 Each circuit has a GFCI outlet on the end, so that if something should go wrong with a heatstick, the outlet will trip and you’ll avoid a nasty surprise. 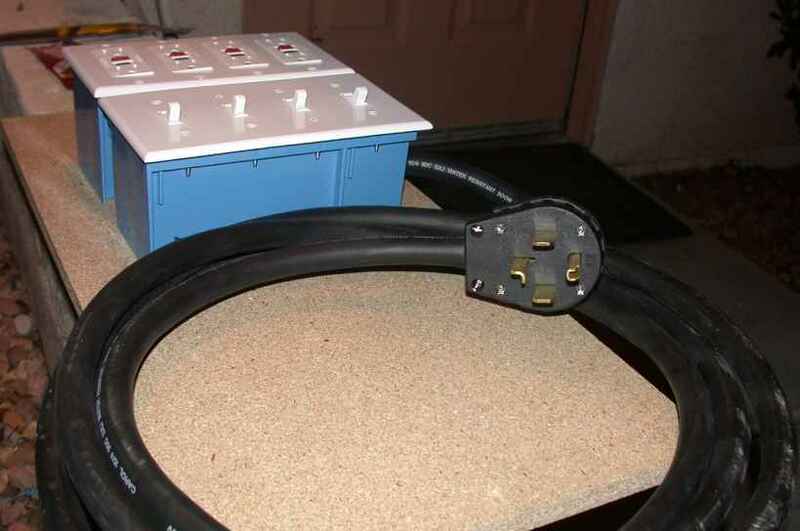 If you’re building 2-kW heatsticks, you’ll want to upgrade this project to provide 20-amp outlets. 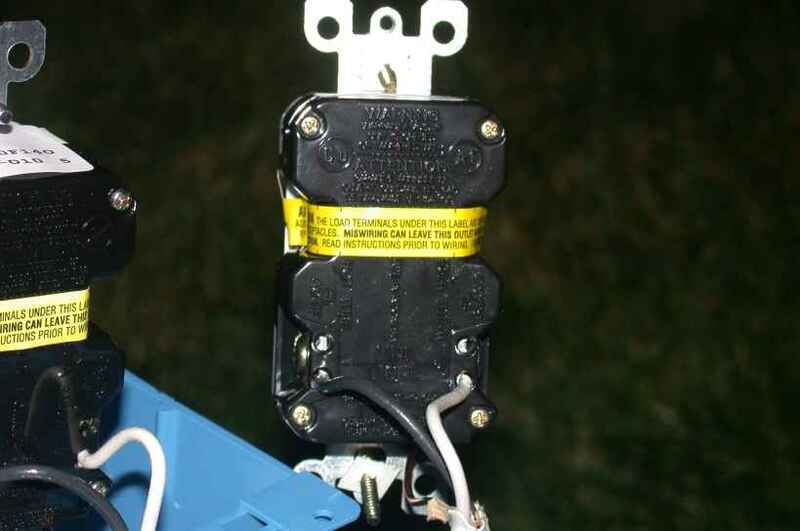 A 240-volt 50-amp circuit (what an electric stove most likely uses) will supply enough power. 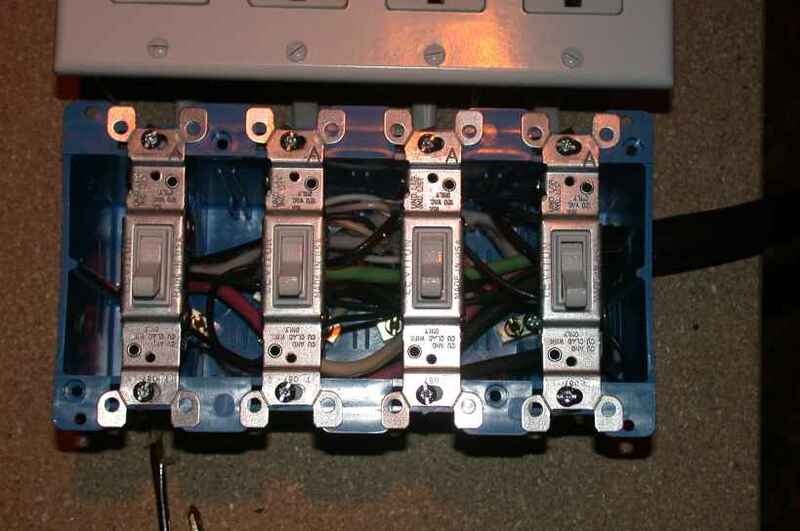 If you’re putting in a new circuit for use with your heatsticks, a 40-amp breaker (instead of 50) might be a good idea. Upgraded parts are called out in the partlist where needed. 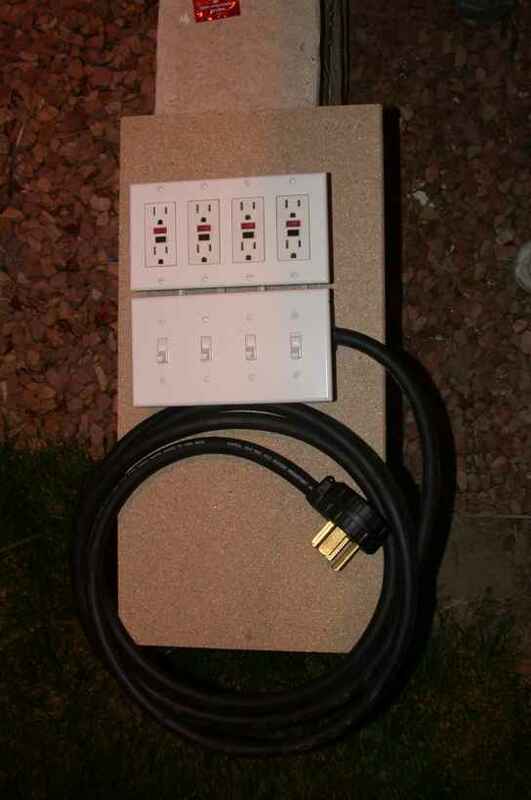 Note that the photos show a board being built for 1.5-kW heatsticks. For tools, you’ll need screwdrivers, wire cutters, wire strippers, a razor blade or sharp knife, long-nose pliers, a round file, and a drill and bits. Disclaimer: I shouldn’t have to put this in here, but if I didn’t and some numb-nuts got himself killed while trying to assemble or use this device, his next of kin might hire an ambulance chaser to sue me into oblivion. 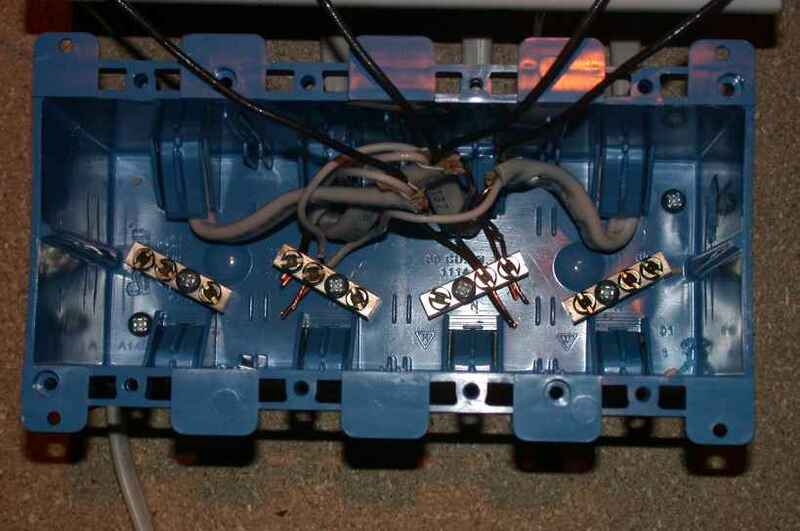 Since we haven’t yet heeded Shakespeare’s advice to kill all the lawyers, take heed: This project involves wiring parts together that will connect to a high-power electrical circuit (240 volts AC at 30 amps or more). If you don’t exercise sufficient care in assembly, testing, and use, you could zap yourself. 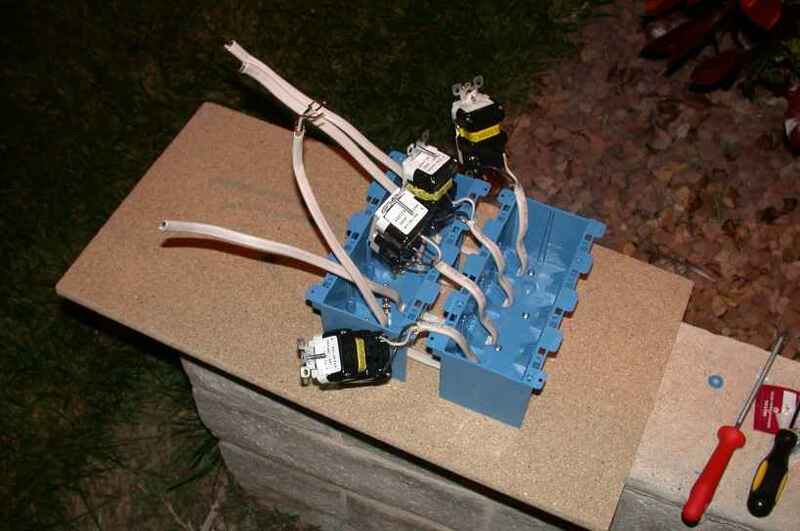 Construction is fairly simple, but if you have any doubts about your electrical-wiring prowess, find somebody who is, or find another homebrew construction project that doesn’t involve electricity. I’m not responsible for your errors; if you break something, you own both pieces. 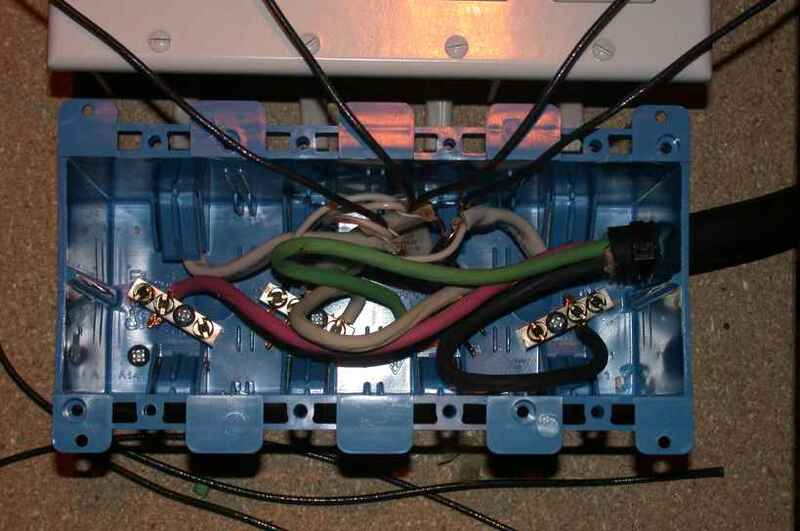 Repeat for the right two circuits, with the loose ends connected to a terminal on the #4 block (the one with the black wire in it). 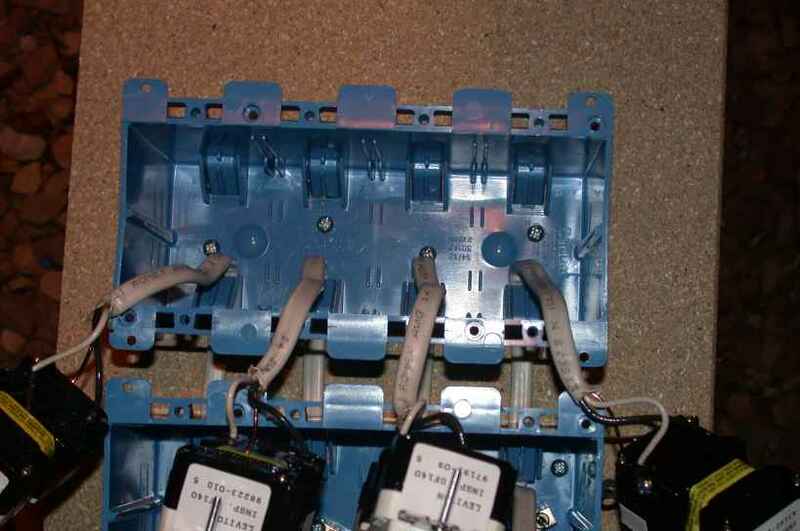 To test it, plug it in, flip the switches on, and reset all the GFCIs (they come pre-tripped and won’t reset if the wiring is screwed up). If you plug a lamp in, it should light up. 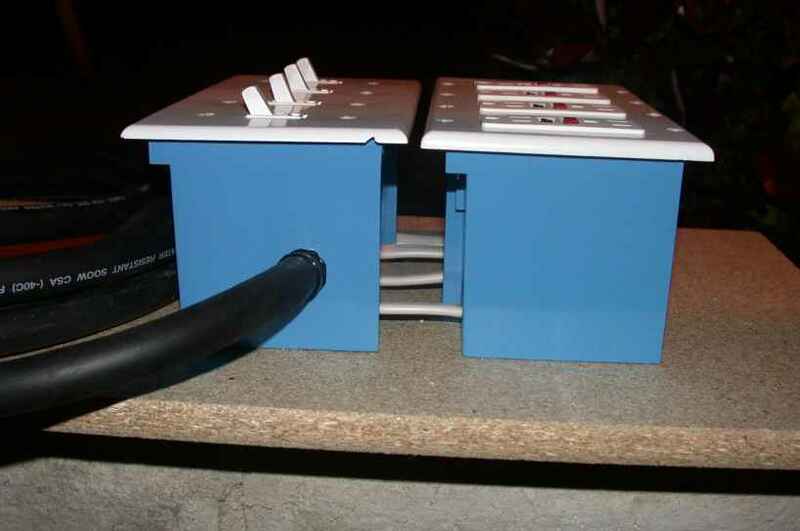 If you plug a heatstick in, it should get hot. 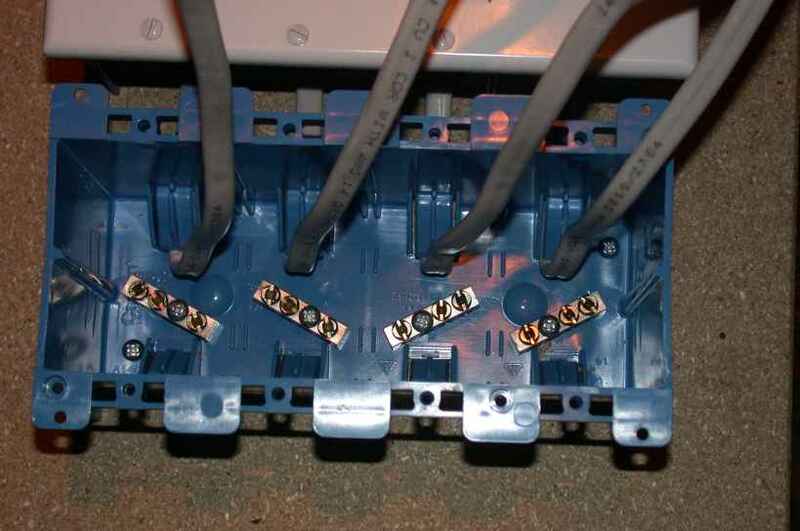 The final part of the series includes “action shots” of the heatsticks and power distribution board at work on their inaugural brew (an ESB that I hope is reasonably close to Fuller’s). "The journalists of the United States are generally in a very humble position, with a scanty education and a vulgar turn of mind...the characteristics of the American journalist consist in an open and coarse appeal to the passions of the readers; he abandons principles to assail the characters of individuals, to track them in private life and disclose all their weaknesses and vices. Nothing could be more deplorable."